We say goodbye to our Feminine Fixed Water sign of Scorpio; where we focused on pulling out our inner warrior to dive into the unknown without fear. We now welcome the Masculine Mutable Fire sign of Sagittarius. Masculine (Duality) is direct and energetic. Fire (Triplicities) is Active and Enthusiastic. Mutable (Quadruplicities) is flexible, versitle, and adaptable. Our 9th Zodiac Sign, Sagittarius, is symbolized by The Archer, but not just a simple archer, Sagittarius is a centaur. A Centaur is a mythological creature who is half man and half horse. SAG is the only astrological sign to have both human and animal representation. Our Archer is energetic, ambitious, freedom-loving, and the seeker of a challenge. He likes to use his arrow to aim high and chase outdoor activity/adventure. Many astrologers look at Sagittarius as a Gypsy, one who loves to travel. His worldly energy, curiosity, and wanderlust enthusiasm bring us a new sense of wonder in our own lives. He has a naturally cheerful, hopeful disposition which reminds us to look at the positive side of our lives. While in the season of Sagittarius, we may feel more comfortable in our energy as we bring in new hopes, knowledge, and perspectives. We can always learn from Sagittarius' outlook on life. They always look for the bright side of any situation. The Silver lining if you will; even in the face of adversity. Sagittarius is ruled by Jupiter ♃ , the planet of good luck, good fortune, success, abundance, and expansion. Sagittarius is known as the zodiac of Luck. With everything, Sagittarius always seems to be in the right place at the right time. In work, friendships, relationships, and money - the correct door always seem to open up when you need it. Jupiter's position in your chart will indicate how outgoing you are in the aspect of attracting money and possessions or where you'll have the best luck job wise. Jupiter is known as the Greater Fortune, after all. Be warned of Jupiter's Shadow Side though, he is a sign of " Giveth and Taketh away " and can take away all you have as quickly as he can give it to you. Although the planet of joy and expansion, if you are not careful (or grateful) Jupiter can expand in negative ways. Be careful with your thoughts, words, and actions. IE. If you are asking for money - do your part and work hard (You will be rewarded) VS If you are asking for money and complaining you don't have the money or not putting in the work (you won't receive money and you'll lose what you have). Jupiter wants to know that you are grateful, So be grateful. Sagittarius is the Ruler of our 9th House: the house of Mental Exploration and Long Distance Travel. The 9th house is an expansion of study, travel, and widening the mental state. Also known as the house of the higher mind. This house rules higher education, philosophy, and a deeper study of things. Sagittarius is eager to learn and digest all the knowledge he can. He "aims" for a better understanding of truth, evolution, and the unknown. Travel is also controlled by the 9th House. Remember, SAG is a Gypsy in his own. Foreign Travel is of big interest as learning about new language, cultural differences are important to a Sagittarius. He craves better knowledge and acceptance out of his own personal self. (Language, Culture, and Delicacies). Sagittarius encourages us to get out and try new things during his season. Travel somewhere new, try new, cultural foods, study a different language, or take up a new hobby. Expand your mind and allow new experiences. During the season of Sagittarius, breathe into your curiosity. This is the time for NEW, which is perfect as we will meet up with our Sagittarius New Moon on December 6th. (Post to Come!) 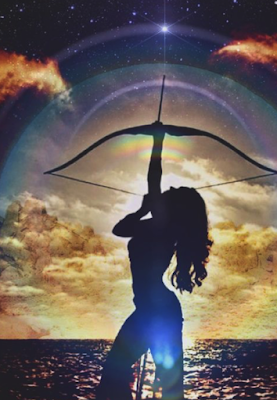 Sagittarius leans into his calling, his divine purpose. He aims for the highest experiences and follows his arrow wherever it goes. 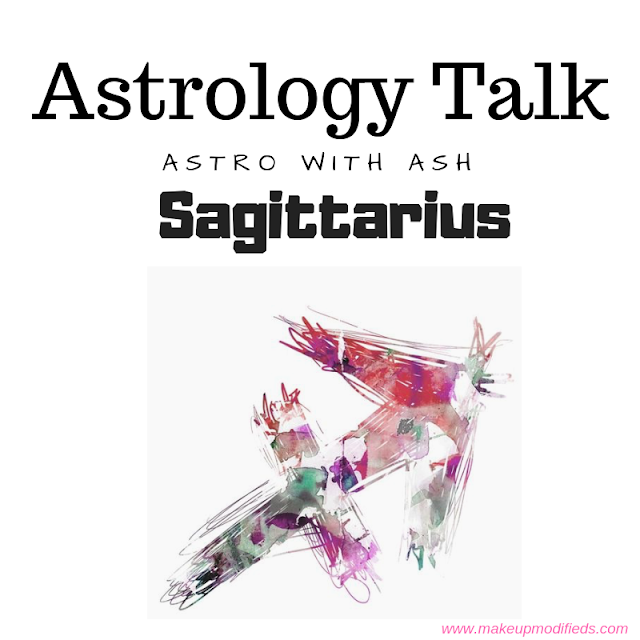 However, be aware of the direction you "release" in - Sagittarius, when not in focus, has a " Ready and Fire " instead of a "Ready, Aim, Fire" mental state. SAG is subject to fire and explosion when not careful. Sagittarius Season being towards the end of the Year brings us infinite Possibilities. We see life how we WANT it to be, not as it is. This is a great trait to have so we can expand and manifest what we wish to call in. The possibilities are unlimited for Sagittarius. Open your Mind to receiving all you've been asking for. Take charge and speak your deepest desires into reality. Travel, Learn, Grow, and Explore for the next month. There is no time to start then Now, and that is what Sagittarius is here to teach us.